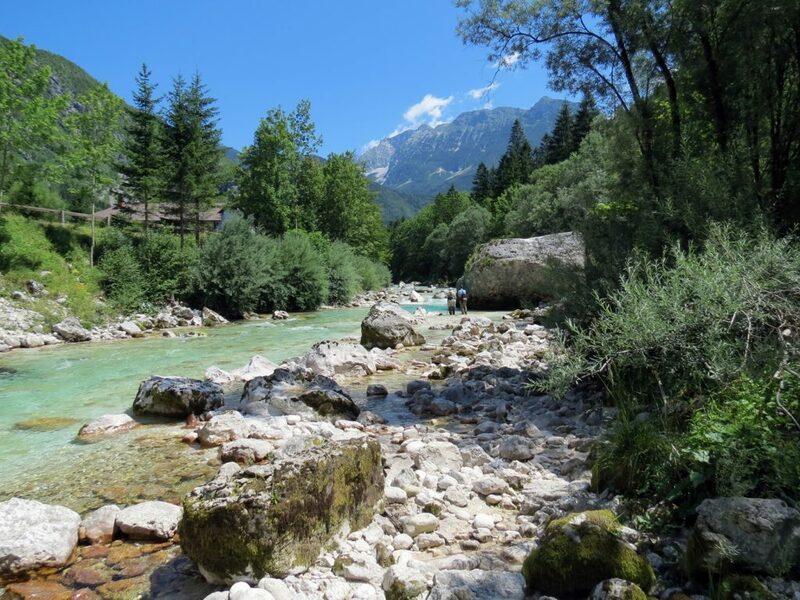 When you stay with us in the Soca valley, you will be surrounded by the peaks of the Julian Alps. A place of enchanting beauty. With our guidance, you can experience the very best fly fishing on some of Europe’s most beautiful pristine and gin clear rivers. Fishing for the unique marble trout – often of double figures, record Soca grayling, and brown, brook and rainbow trout. In Slovenia there is an abundance of fishing. We work hand in hand with the Fishing Associations to take you to the best fishing locations. 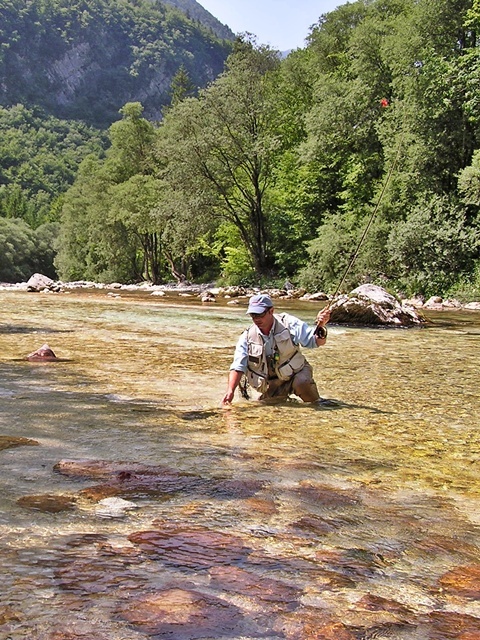 Fishing in Slovenia is well preserved and the environment’s well-being is of great importance. The country is largely forested with many varieties of deciduous trees on the hillsides. There is very little heavy agriculture, creating the perfect natural habitat for wildlife, with copious varieties of butterflies and birds, and a profusion of wild flowers. This in turn all helps with the prolific insect hatches that create some of the most spectacular fishing in Europe. Slovenia’s fauna and flora have to be seen to be believed! This beautiful country nestles between between Italy and Austria, and is truly worth a visit for the discerning fly fisher. 2019 Paul Procter Hosted Trip: Join Paul Proctor as he fishes with us and is our host for the week June 23rd 2019. Contact us for availability. Paul Procter made a return visit to us last Autumn. You too can also fish some of the best rivers in Europe and catch the unique Marble trout. 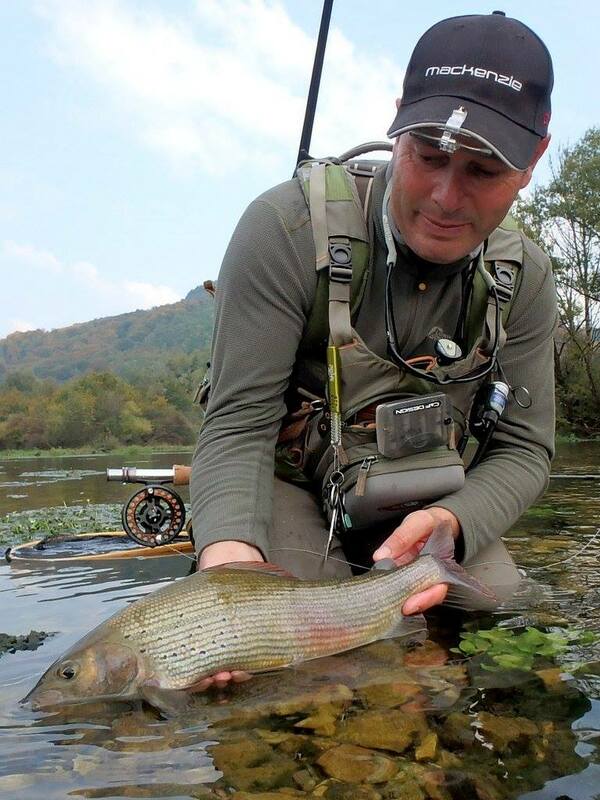 Copyright © 2019 Slovenia Fly Fishing. Powered by WordPress. Theme: Spacious by ThemeGrill.